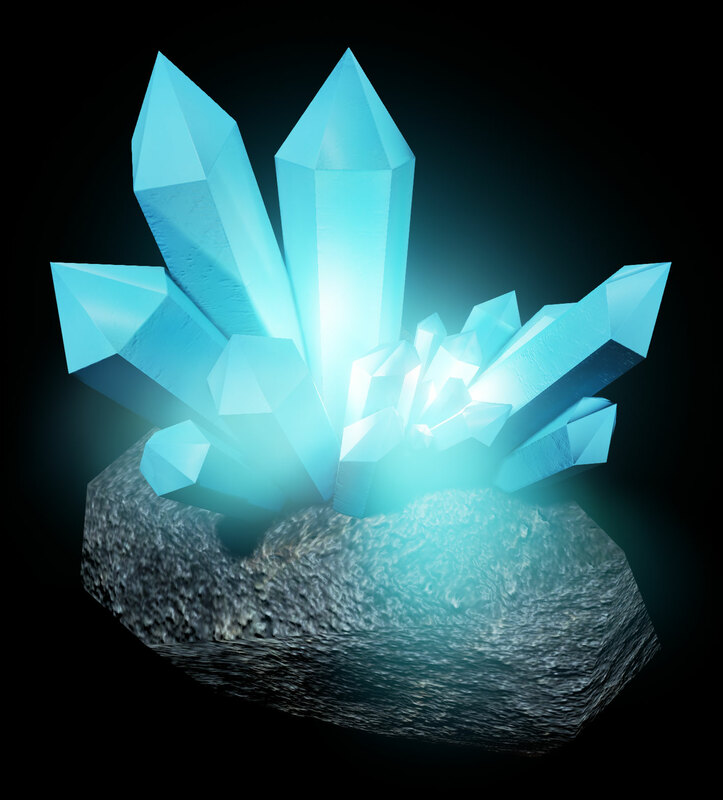 My goal for this one was to make a very low poly crystal structure. I started with a six sided cylinder in Maya, pulled out the center vertices on either end, and then warped one end. I did this so I could copy the crystal and turn it 180 degrees and get some variety. The rock is simply a decimated model from ZBrush. Just one crystal and the rock is only 74 tris. 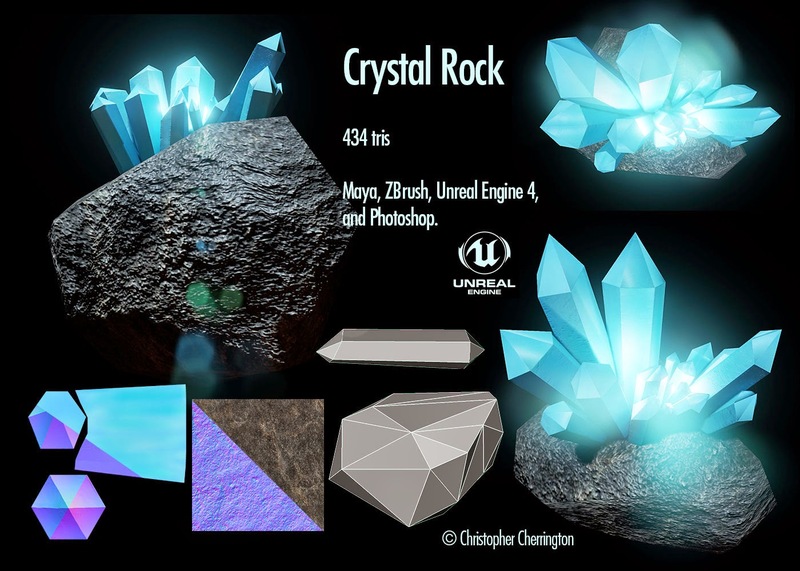 The cluster of crystals seen in the final model built and rendered in the Unreal Engine adds up to 434 tris.